Fixed star Fum al Samakah, Beta Piscium, is a 4.5 magnitude star in the mouth of the western fish of Pisces Constellation. The traditional name Fum al Samakah is from the Arabic word فم السمكة fum al-samakah which means the mouth of the fish. β Piscium, Fom Al Amakah has surprisingly figured so little in astrology for, though faint like all the other stars in Pisces, it does occupy a position well clear of any other commonly used stars. 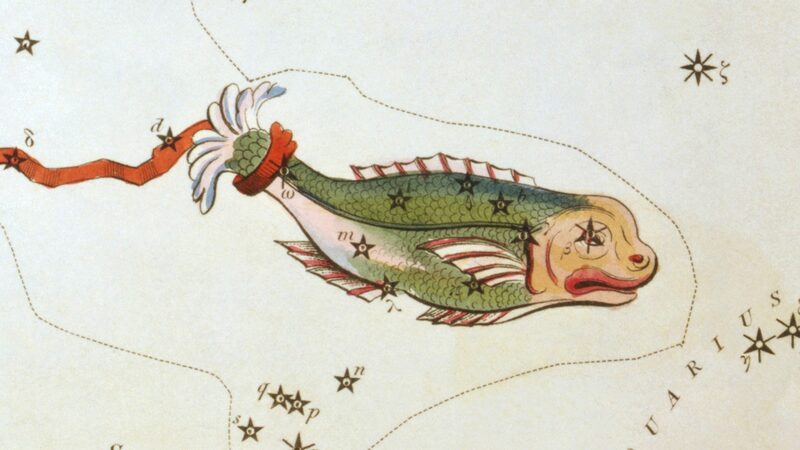 It marks the Mouth of the Fish at the more southerly end of the strong, and this is enough to cause confusion with the star Fomalhaut, the Mouth of the ‘Southern Fish’, the quite different Piscis Australis Constellation. This may be why there has been reluctance to note and use it. Happily, the Arab astronomer Al Akhsassi applied his intelligence and selected another Arabic word for Fish when naming β Piscium. So it is Ful AL Samakah. Al Akhsassi went a stage further and referred to it as being west of its partner in Pisces, rather than south, for it is indeed really south-west of it. So we can safely include it after all. We have no help from Ptolemy on this one but the superlative work of the great, late astrologer and vizier Dane Rudhyar comes to our rescue. In his revision of every of degree of the sky by Elsie Wheeler and Marc Edmund Jones, Rudhyar reveals the nineteenth degree of Pisces thus: ‘A MASTER IN-STRUCTURING HIS PUPIL: the transfer of power and knowledge which keeps the original spiritual and creative impulse of the cycle active and undeviated. Although Dr. Morse gives this star a Jupiter-Mercury nature. Ptolemy did write that the stars in the head of the southern fish have the same influence as Mercury: If rising, honor, intellect, great learning. If culminating, business activity, gain through books and intellectual matters. 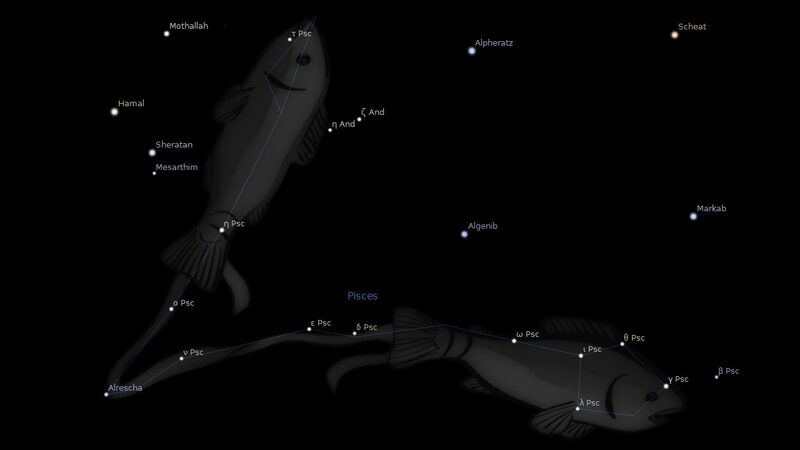 Fum al Samakah, representing the western fish of Pisces, is swimming directly toward Pegasus Constellation. It this represents the journey from the Age of Pisces to the Age of Aquarius. I have commented in earlier posts that because the fixed star Scheat is at the Aries Point ( 0 Aries), we are actually in the Age of Pisces. Perhaps seeing “the present era” mentioned by Dr. Morse then is this Age of Pegasus. 2. Fixed Stars and Judicial Astrology, George Noonan, 1990, p.40.